BEIRUT–Syrian troops widened a major offensive against rebels in the southwest on Tuesday and Jordan said it would not open its border to tens of thousands of civilians fleeing the attack. At least 45,000 people have fled the upsurge in fighting in Syria’s southwestern Deraa province, heading toward the border with Jordan, the United Nations said. President Bashar al-Assad is aiming to restore control over a strategically vital part of Syria at the borders with Jordan and the Israeli-occupied Golan Heights, building on his military’s momentum elsewhere in the seven-year conflict. Government forces opened a new front on Tuesday against the rebel-held part of Deraa city, the provincial capital, state media reported. A commander in the regional alliance that backs Assad told Reuters the aim was to reach the Nassib crossing with Jordan, an economic artery in rebel hands since 2015. Assad is pressing the offensive with Russian support despite warnings from the United States which has been seeking to uphold a “de-escalation” deal it brokered with Moscow in the southwest last year. Washington had warned Assad of serious repercussions. But there has been no sign of action to stop him: Washington has told Free Syrian Army (FSA) rebels they should not expect military support against the offensive, according to a message sent to rebel commanders seen by Reuters. The war has pivoted toward the southwest since Assad, backed by Russian and Iranian military power, crushed the last insurgent pockets near the cities of Damascus and Homs. Assad, whose control was reduced to a fraction of Syria in 2015, now commands the single biggest chunk of the country, though nearly all the northern border with Turkey and much of the east remains outside his control. 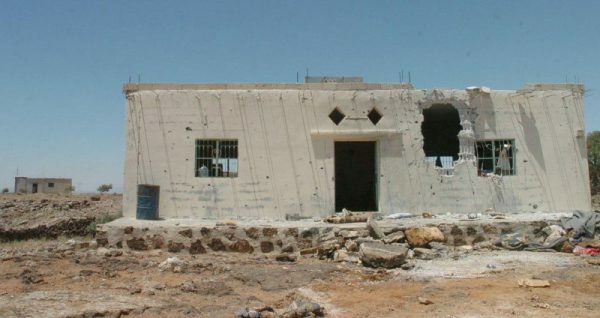 In the first big advance in the southwest, government forces seized a swathe of rebel-held territory including the town of Busra al-Harir in northeastern Deraa province, media controlled by Lebanon’s Hezbollah and the Syrian Observatory for Human Rights reported on Tuesday. There was no statement from rebel groups about the reported government advances. State media said government warplanes and artillery were also targeting the rebel-held sector of Deraa city at the Jordanian border, aiming to cut the supply road to Jordan. Air strikes hit the rebel-held town of Nawa for the first time in nearly a year, the Observatory said. 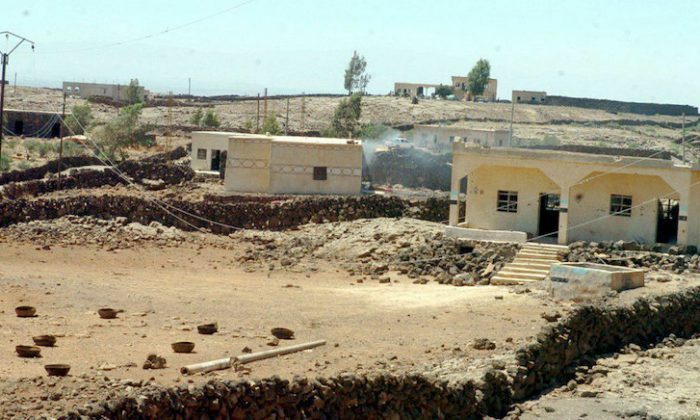 The offensive has so far focused on Deraa province, not rebel-held parts of neighboring Quneitra province at the Golan frontier that are more sensitive to Israel. Israel is determined to keep Iranian and Iran-backed forces that support Assad away from its border, and wants them removed more widely from Syria. Two Israeli missiles hit near Damascus airport overnight, state news agency SANA and the Syrian Observatory for Human Rights monitor said. An Israeli military spokesman declined to comment on the reports. SANA said the missile strikes near Damascus international airport were a sign of support by Israel for the rebels in the southwest. Iran is a leading ally of Assad and backs several militias, including Lebanon’s Hezbollah, fighting in support of him. The attack has fueled concern of a new wave of displacement in a conflict that has already uprooted 11 million people, forcing millions abroad as refugees. The number of displaced so far stood at 45,000, he said. “People don’t know where to go,” said Ahmad al-Dbis, safety and security manager at UOSSM, a medical charity that works in opposition parts of Syria. He said five of the aid group’s facilities in the south, including a mobile clinic and a healthcare center, went out of service during the latest clashes. The U.N.’s World Food Programme has provided food to 30,000 people and plans to deliver more in the coming days over the border from Jordan, said spokeswoman Bettina Luescher. “We expect the number of displaced people could more than double as violence escalates,” she added. Jordan will keep its borders shut and the United Nations can help displaced Syrians in their own country, Jordan’s foreign minister said. A rebel source said Jordanian authorities, citing safety, have warned factions there not to allow refugee flows next to the border, which has in effect been closed for years.